To support Roz Paterson’s family, who have had to relocate to London for two months as she undergoes life and death pioneering cancer treatment, we have 200 limited edition copies of Restless Land signed by Roz and her co-author Alan McCombes. For a donation of £25, including post and packing, you will receive a signed copy printed and bound in high-quality gloss paper designed to endure. For any group wishing bulk orders, phone or text Alan at 0771 744 2805 and we will try to make a special delivery. It covers a huge amount of ground with style, wit and limpid clarity that sets it apart from the dry tomes that put many people off history before they are out of school. Restless Land is a riveting, expertly written work of popular history that deserves a very wide readership. This is a history book like none that I’ve read before. It is an incredibly readable book which will grab you from the opening pages. Half-remembered stories and vague Scottish heroes leap to life, and the book resonates with excitement. Reading Restless Land was like having lots of little lights come on in my head. Finally, a book which could tell me the meaning of many of the songs and poems I’ve heard, of the half-remembered stories, of the slogans and names which have drifted down through the generations. “Restless Land is a substantive book by any description. It tells you things that you’ve never been told before in school, in the media, or anywhere else. The Scottish Socialist Voice has just carried Pam Currie’s review of Restless Land. 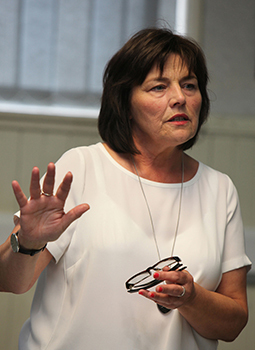 Pam is a long-standing campaigner for independence and women’s rights, whose first political action was to join the Vigil for a Scottish Parliament at Calton Hill in 1992. Well, I thought when I agreed to write this review that I’d be starting with an apology. I got my hands on a copy at the Glasgow launch in late July, but in full indyref campaign mode, and returning to work as a lecturer in a chaotic post-merger college, I was quite sure I would never read the whole book in time to write a review. At last! 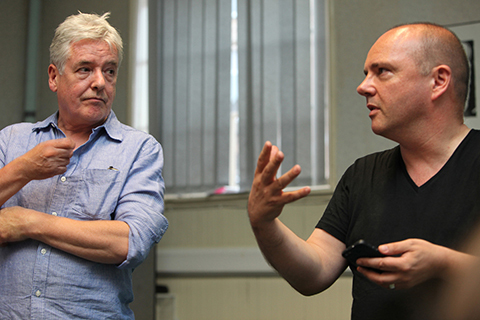 Restless Land: a radical journey through Scotland’s history was officially launched last Friday in Glasgow. 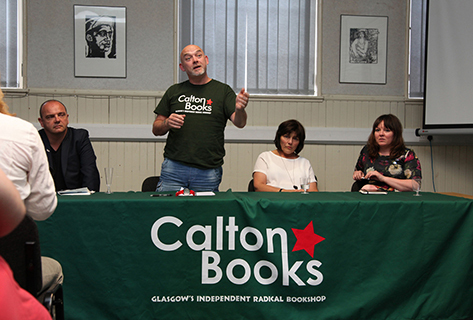 Around 100 people attended the event hosted by Calton Books, Glasgow’s radical independent bookshop which has published the first edition of Restless Land. The owner of Calton Books Robert Rae was there, keen to emphasise the importance of the book in telling the stories of the ordinary men, women and children that make up Scotland’s fascinating history. Political analyst and public affairs consultant, Jeane Freeman, focused on the themes of power and inequality that run through the book while praising the book for being easy to read, substantive, and a real page turner. Following a burst of great musical entertainment from Rosie Kane and brothers Tam and Andy McGarvey, writer and broadcaster Pat Kane discussed the book with author Alan McCombes. 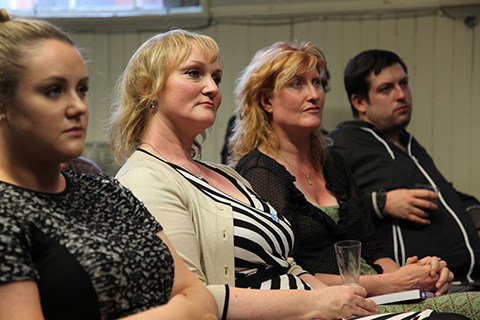 Thanks to all the speakers and everyone who came along, and everyone who bought the book. It was a great night!